Golden weapons... very tactical, indeed. 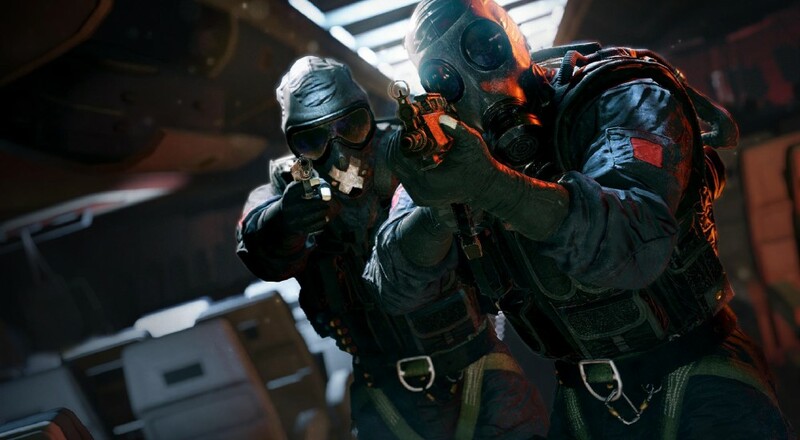 Ubisoft recently announced a special edition for the highly anticipated tactical shooter, Rainbow Six Siege. 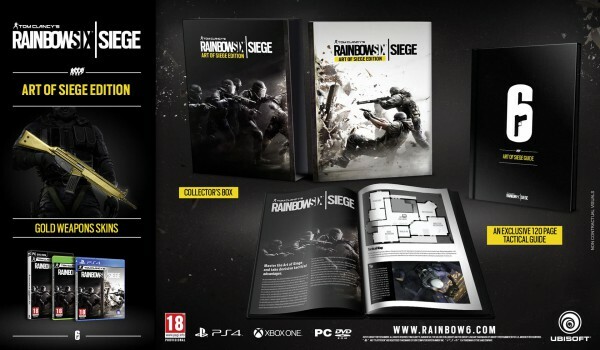 Those that wish to purchase the "Art of Siege" Collector's Edition will receive a 120-page tactical guide to compliment it. That's right, in preordering the Collector's Edition players will be able to read up the "Art of Siege" guide to help in understanding strategies in hostage situations and gain an edge over their adversaries. "This high quality guide includes information on every Counter Terrorist Unit, Operator, weapon, and map with the highest level of detail and statistics. All this content has been created with developer team and core gamers’ advice, giving you the most effective results in the field." In addition to the guide, players will receive a collectors box for the game and gold skins for all the weapons in the game. Also, those that preorder the game will obtain guaranteed access to the Closed Beta coming up soon (check the official FAQ for more info). The Collector's Edition will be available for $79.99. Standard edition preorders also come with access to the beta, so don't feel like a large down payment on the Collector's Edition is necessary. Signups are still going on as well, so don't wait until the last minute!